Electronic Bug Detection Devices – Why Hire The Professionals? Spying on individuals and companies is big business, with everything from cameras to tracking devices being sold cheaply over the web. As this business grows so too does the counter surveillance industry. Although you can buy electronic bug detection devices easily, it is better to engage the services of a professional. Read on to find out why. If you are concerned that someone may have bugged your home or office, it can be tempting to jump on the Internet and buy the first bug detection kit that comes to hand. However, this would be a mistake for a number of reasons. Firstly, unless you have any training yourself, you will have no idea whether the kit you have purchased actually works. You could end up with something that is faulty or simply fraudulent. Then, there is the problem of knowing what you are looking for and where to find it. Most people’s experience of listening devices and cameras comes straight from a Hollywood spy film, and the reality can be a little different. It is also worth considering the possibility of what happens if you do find something. If you find one piece of equipment, but not all of them, then you are still vulnerable. Also, unless you know what to do with the devices once you have them, you risk letting the person who planted them know that you are aware without you ever finding out who the culprit was. This, of course, leaves them free to try again, either with you or someone else. If you need electronic bug detection devices that are guaranteed to work effectively, and that come with experienced professionals, then turn to Advanced Sweeping. We will ensure that every bug is removed from your home, office or car quickly and with minimum fuss. 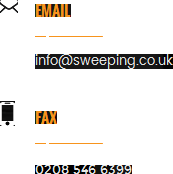 Visit http://sweeping.co.uk/ to find out more today.